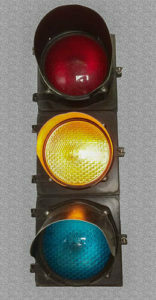 This is an authentic metal traffic light. It is approximately 30” high, 11” wide and 15 ½” deep. It includes the three 8” lenses and lens shades. Each lamp and shade swing out independently. It is wired for 110V, but only the yellow light is wired with a lamp. It should probably be rewired. Great addition for a man-cave or as a gift for the automobile enthusiast! Or re-wire the red and green as Christmas lights! 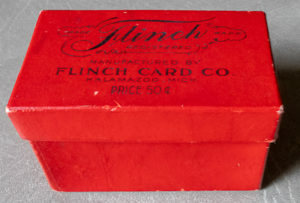 Priced at $75 – way less than traffic lights on Ebay, and no shipping costs to pay. See this traffic light on display in The Closet’s front window, then ask to this great piece of automobile/highway history up close.